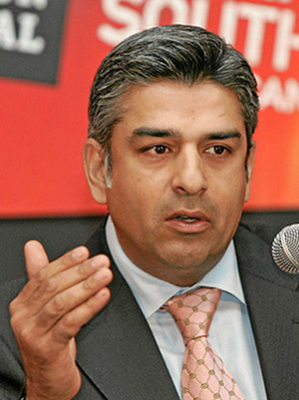 Iqbal Sharma is the founder of ISSAR. He serves as a Director in a number of companies. He served as the Deputy Director- General/CEO of Trade and Investment South Africa (TISA), in South Africa’s Department of Trade & Industry (DTI). He was responsible for leading the development and implementation of trade and Investment policies and strategies. He had previously headed up the Trade Policy division, overseeing SA’s global economic strategies, managing South Africa’s bilateral trade relations and negotiations. He had been with the DTI since 2001. Iqbal has also served on the board of the Export Credit Insurance Corporation (ECIC), SA Nuclear Council, SA Space Affairs Council, Immigration Advisory Board, the International Marketing Council and Transnet. Before joining the DTI, he worked for large multinationals such as PepsiCo and the Bank of America. But, an entrepreneur at heart, he left to set up and run his own companies, including South Africa’s first computer education franchise and a software firm. The Financial Mail has recognised him as one of the top 400 most influential people in South Africa. He has been hailed as “one of South Africa’s most remarkable entrepreneurs” (SA Success Magazine 4/98). An activist committed to the upliftment of rural and poor communities, he has worked with NGO’s and published many articles and papers on social, political and economic issues. He has been a regular speaker at large global conferences across the world like the World Economic Forum, Time/CNN Global Forum, UNEP and World Trade Organisation (WTO) platforms. He is a Fellow of the Aspen Global Leadership Network (AGLN) of the Aspen Institute.